Price £57,995.83 VAT £15,599.17 Total Ex Works £69,595 Total on the Road £70,995. 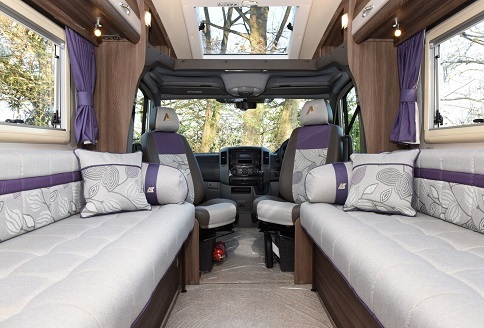 Auto-Sleeper Bourton Mercedes Benz 2019 with premium pack (includes winter pack) £74,995. 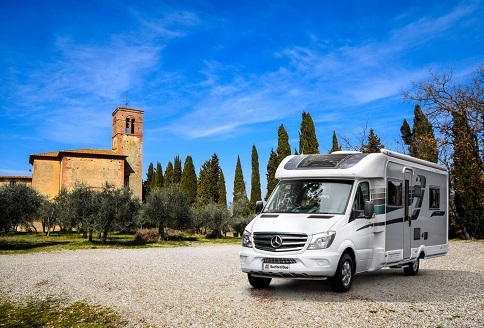 This year sees the Auto-Sleeper Bourton Mercedes Benz 2019 Mercedes Benz luxury motorhome continue. In fact, the Mercedes Benz luxury range gets even better and now includes a 7-speed automatic gearbox with Paddle-Change, Integrated Navigation and Truma habitation air conditioning. All very welcome features for the flagship, luxury range. As so many owners are requesting Mercedes chassis, automatic transmission and efficient Habitation air conditioning, these fabulous features fall in line with customer expectations. A 25-litre refillable gas tank is standard and 2019 sees the welcome return of a hard-wired reversing camera. Also, the Bourton living space provided is huge and certainly provides comfort and space beyond expectations. Large, twin opposing sofas and a really-good end kitchen combine to offer genuine space. A good-sized corner shower room with swing-wall shower that offers a fully enclosed shower, finishes off this very popular layout. 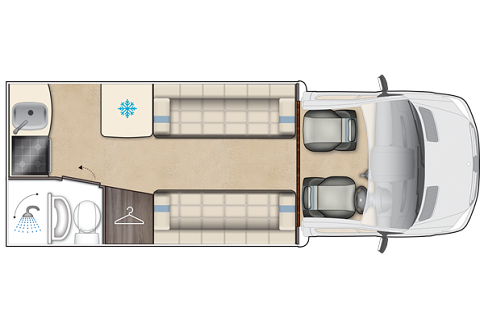 The Mercedes Benz motorhome chassis is standard for the Bourton and option packs are available. Mercedes’ 2.2 turbo diesel 163 bhp Euro 6 is standard. However, there is also a V6 engine upgrade available. 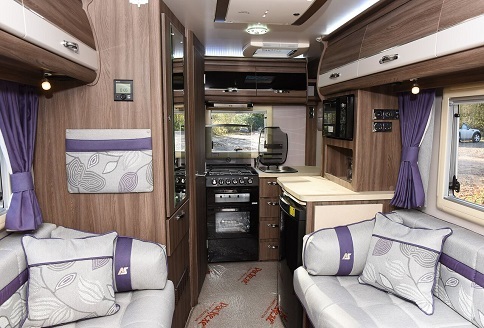 7 speed automatic comes along as part of the premium pack upgrade taking the Auto-Sleeper Bourton to another level. Not stopping there though, you can also add in a media pack too, while the winter pack is incorporated in the Premium Pack. 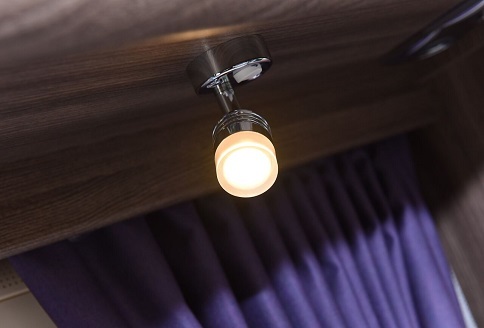 Bluetooth technology and USB points have long been a feature used by Auto-Sleepers. The premium pack, whilst an extra cost, does take the equipment on board up a gear. Thus, cosmetic appearance is enhanced via alloy wheels. 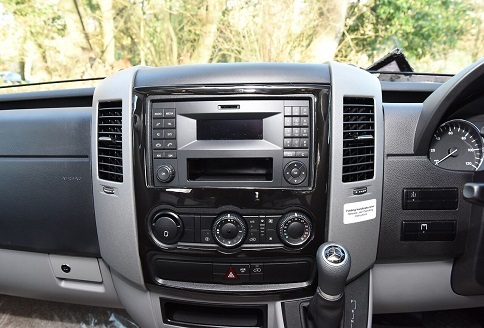 Drivers will appreciate cruise control and the MBUX Infotainment system with navigation and cab conditioning. In addition, luxury replicamagic comes right down to selecting your fabric and furniture finish. In fact, all are outstanding in appearance and quality. 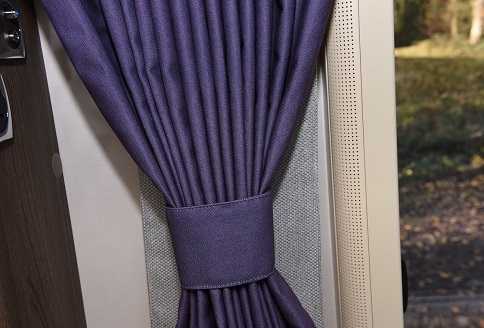 So, fabrics blend and contrast with the lovely wood finishes available and detailed fitted white goods. 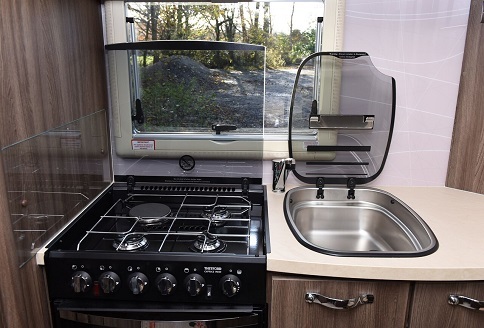 Finally, in addition to the Auto-Sleeper option packs available, why not choose a quality bike rack or other fittings to personalise your specification package.